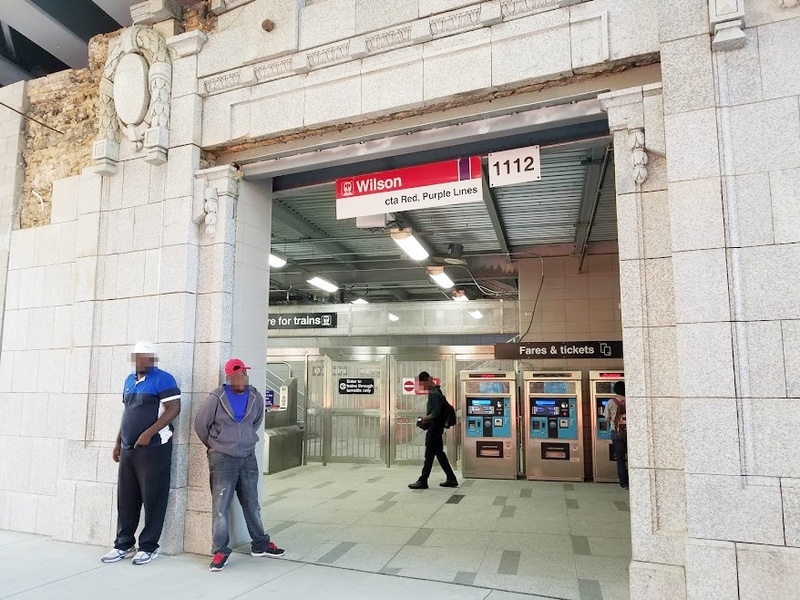 The first new entrance to the station opened on Sunday on the north side of Wilson, next to the Gerber Building. We are delighted to say that the stairs are a much easier climb than the previous temporary ones. They say the station's Grand Opening will take place this Fall. 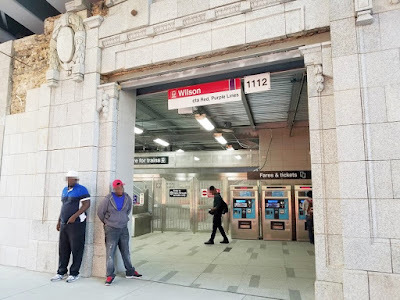 Now that the north auxiliary entrance is open, the existing temporary station entrance on the south side of Wilson will be closed down in order to allow for the completion of the new Main Station. The contractor will close Wilson (Broadway to Clifton) to vehicular traffic from today at 9am through Tuesday at 4pm, then again on Wednesday from 9am-4pm. This is to allow for them to demolish the existing temporary station. Sidewalk closures will alternate between north and south side. Broadway (Wilson to Clifton) will be closed to vehicular traffic between 9am and 4pm Monday, Tuesday, and Wednesday. to continue installation of the final track on top of the support steel overhead. Sidewalks will remain open with periodic interruptions while they are hoisting material overhead with the crane. After the Grand Opening, work will be concentrated on the restoration and rebuilding of the Gerber Building, at Wilson and Broadway. Ok. But how much longer until the elevators are up and running? When the station officially opens in September, they will be operational, according to the CTA. Any word on about the permanent fence between Truman & the el? 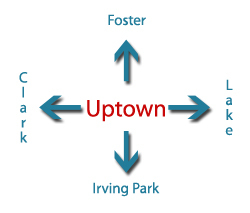 Will people walking to the station from west of Truman be forced to go to wilson ave or montrose ave rather than walking directly on sunnyside? 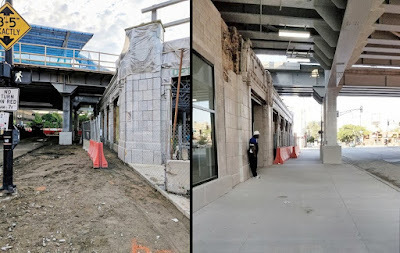 Is there a date for the opening of the Sunnyside entrance? Not that I know of, but I will ask our CTA contact and post if I hear anything. 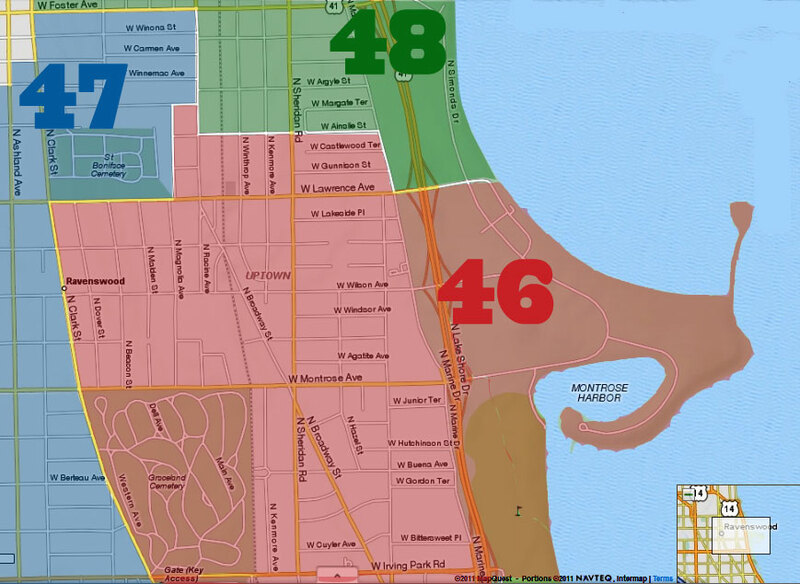 According to the CTA, "Sunnyside will be ready to open around Thanksgiving."